I adore face masks and I use them very often. I really hope I am not overdoing it :) Can you overdo it? 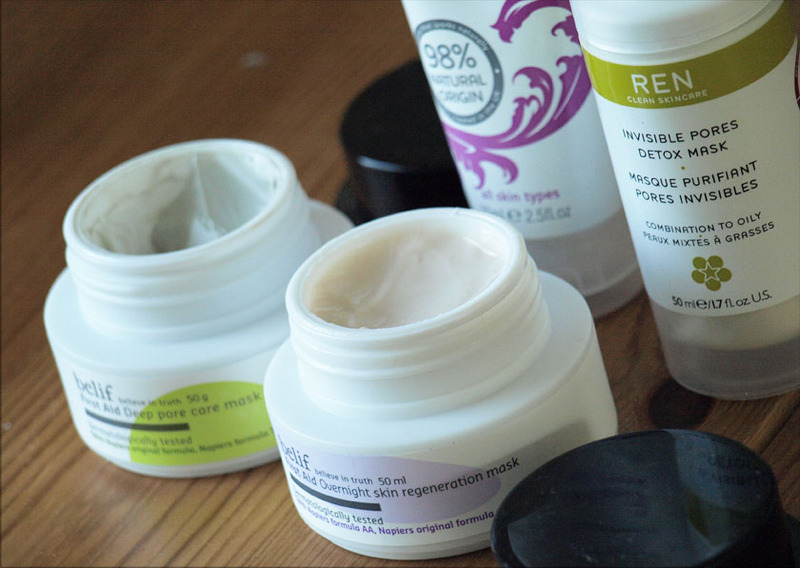 They can work wonders on dull, congested or dehydrated skin and the choice is endless. If my skin feels horrible, I know that a face mask will sort it out. 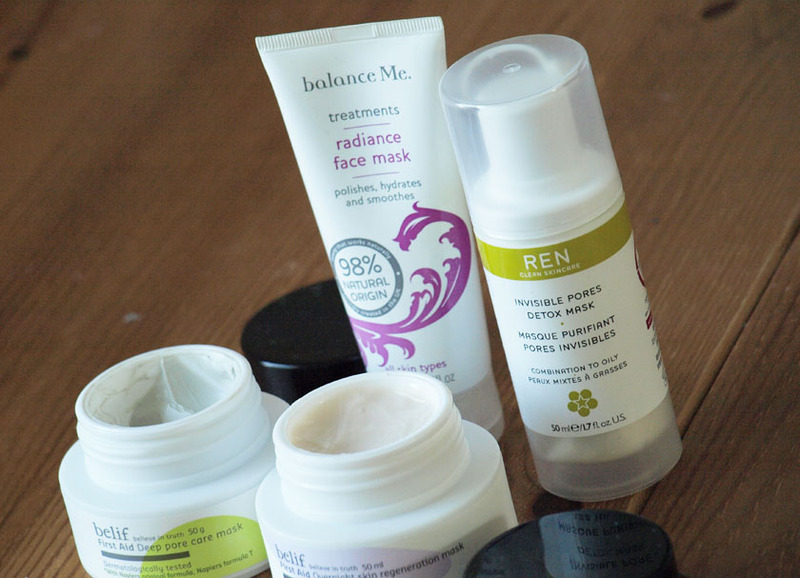 Most of my favourite face masks are from REN (Glycolactic Radiance Renewal Mask and ClearClam 3 Clarity Restoring Mask), but I recently discovered other gems worth mentioning. I absolutely love this mask and I have been using it on and around my nose 3-4 times a week. Pores on my nose are my main concern at the moment, so I usually focus on that area. 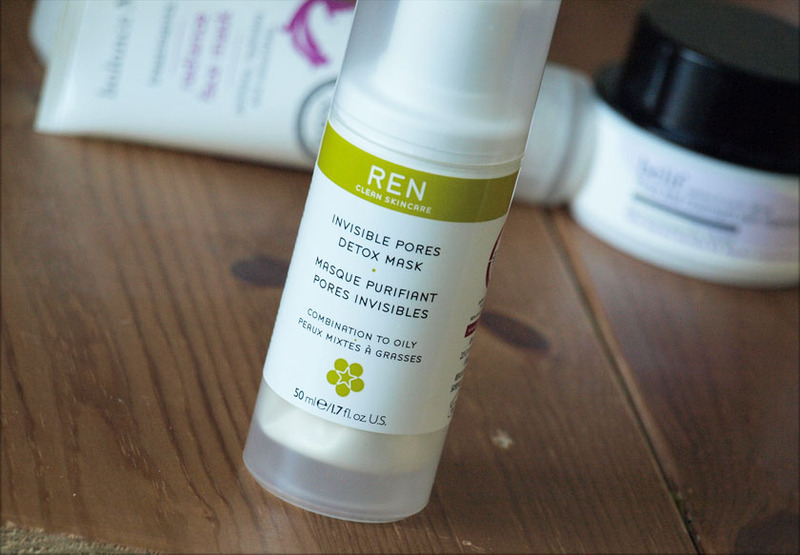 The Invisible Pores Detox mask is fantastic and it really helps to prevent blackheads from forming. It visibly reduces the size of pores after each use, leaving my skin clear and smooth. The ingredients include: French Clay to draw out impurities and excess sebum, Proteins to encourage cell renewal and essential fatty acids to soften the skin. 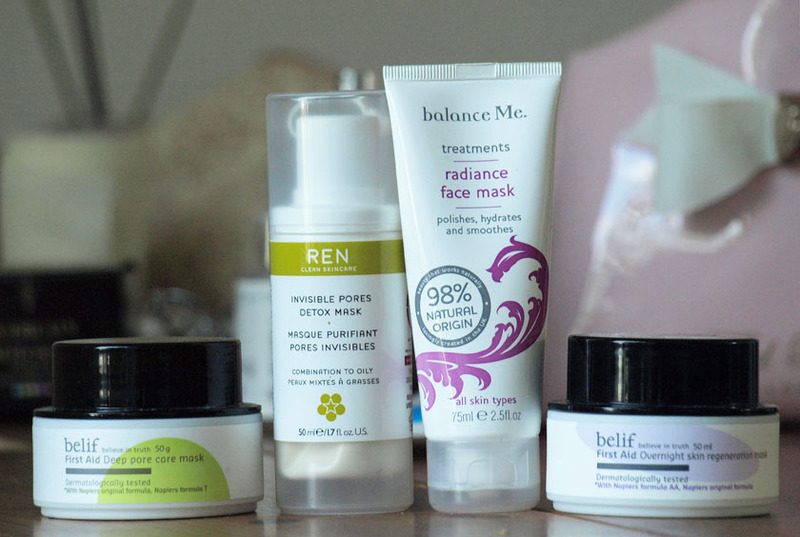 When my skin looks dull and needs a boost of radiance, I reach for this little miracle worker. It cleanses, exfoliates and brightens at the same time, making it a perfect 3 in 1 product for travelling. I smooth a generous amount if this creamy mask allover my face and massage it for a minute, avoiding the eye area. It contains ground walnut shells to buff away dead skin cells, so make sure to avoid it if you have any fresh breakouts. I leave the mask on for five minutes and wash it off with a damp face cloth. It is quick, easy, effective and affordable. 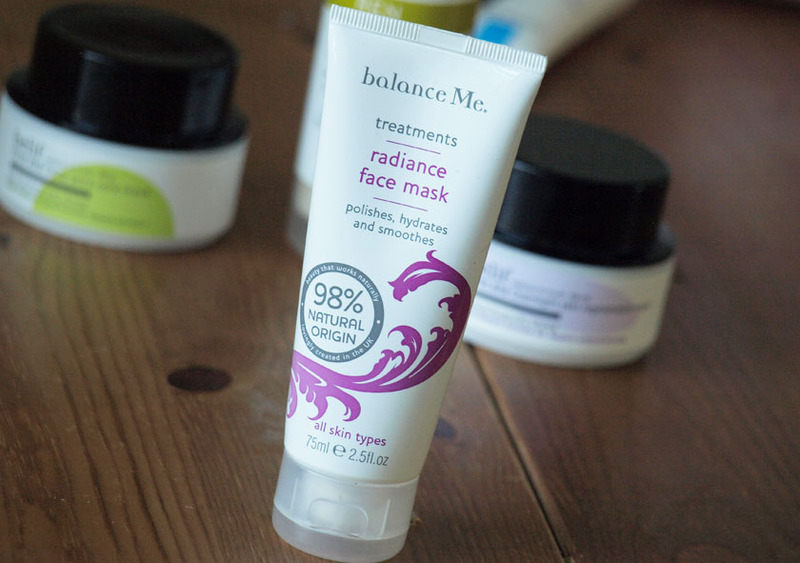 The mask makes my skin look very radiant and I love using out, when I don't have time for a proper pamper session. I have been using this mask for over 2 months and I nearly finished the pot :) My pores get clogged easily, so deep cleaning masks are a regular thing for me. The French Clay in the Belif mask helps to minimise the appearance of pores and keeps the production of sebum under control. It is reasonably priced and I like the fact that it comes in a jar. This way I can see how much product I have left. Remember to use a little spatula for applying the mask, because dipping your fingers into the jar can be unhygienic. 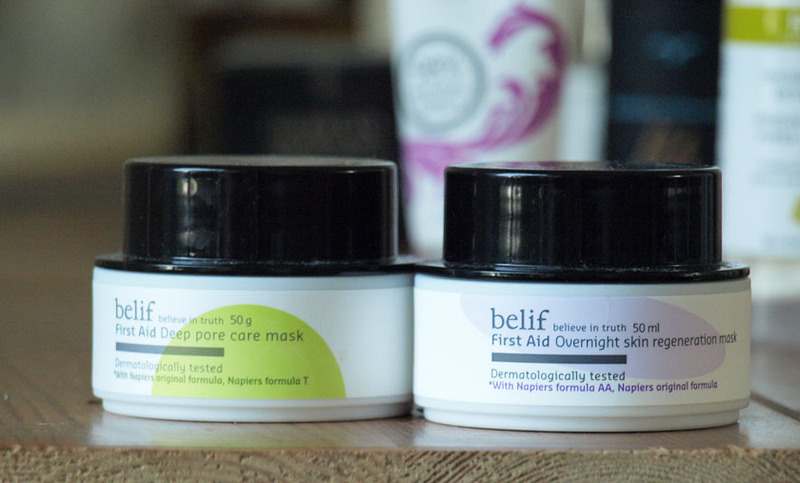 My skin tends to get really dehydrated during the summer months, so I have been using this overnight formula to combat this problem. I was worried that it might feel sticky and weird, but it sinks into the skin pretty quickly and feels very hydrating. I apply it after cleanings, toning and moisturising and I wake up with plump, nourished skin! Perfect! You need the smallest amount of the mask for each use and I am guilty of using it every single night :) I just can't help myself! The mask is enriched with a special anti-ageing formula to regenerate dull skin and improve elasticity and firmness. Let me know, if you discovered any new face masks worth checking out. I am looking for something to combat little bumps under the skin. They never turn into spots, but I can feel them with my fingers (especially on my chin) and would love to get rid of them.